Jeri Palumbo has been a broadcast audio mixer and specialist in sports and entertainment for the past 25 years. With a current focus on live remote broadcast events, Jeri's work has included the NFL, NBA, MLB, NHL, NASCAR, SuperBowls, the World Series, the Oscars and more. Learn more about Jeri on our team page. This is one of those heart-wrenching stories where one questions humanity. And there is a particular evil in those who are cruel to animals. But this was a certain pup's lucky day (if one can call being there in the first place luck). While we were filming in Monument Valley, Utah on a famous stretch of a busy highway, I noticed on the other side of our car a black fuzzy thing—what I thought was a blanket—until it moved its head. We had been there for an hour with loads of people around and no one, including us, even noticed. It was a dog on the brink of death. It was 100 degrees that day and not survivable even for humans without adequate water and food resources. I suspected the dog had been thrown out of a car, dumped, or worse. We began trying to save the dog by pulling his lip to the side and administering water slowly, so he could swallow it. He gradually began to respond. Over about an hour, he could stand if held, but would whimper. Alisa Lovell and Brian Sanderson, a couple filming a dog commercial nearby, saw us working on the dog and offered to help. They said if we couldn't take the dog, they would take him back to St. George, Utah to Best Friends Sanctuary. We thought this was a great option, as we were going to take him to LA with us but the Ride for Hope would keep us away from home between June 22 and July 3rd. We worried about his recovery and where he would go during our absence, so this was a great solution. The only caveat was, we wanted to be able to track this sweet soul’s progress as we had already bonded with him, having spent all that critical time with him in the desert. Later, we found out that Best Friends turned the dog down (???) but Brian and Alisa found RSQ Dogs+, a remarkable rescue organization in St. George that welcomed this gentle spirit. Enter the wonderful Patty Pappas. We were traveling through St. George on the way to LA the following day, so we stopped to visit the dog at RSQ. We took him a stuffed toy,(a lion), that he bonded with immediately. (I told him to fight like a lion to survive!) I can't think of a better place for him to be than at RSQ! Patty was amazing, and we were able to spend a few hours with this gentle boy. He was still weak but got up on his own—wobbly—wanting to follow us. We walked, VERY SLOWLY, around outside as he struggled with his steps but I was sooooo proud of his progress and will to walk on his own! After a wonderful visit we left for LA feeling great about where he was with Patty and the RSQ staff (who are 100% volunteer, BTW). He was scheduled for a vet visit the next day. Here's the heartbreaking part that should make everyone reading this boil with anger. 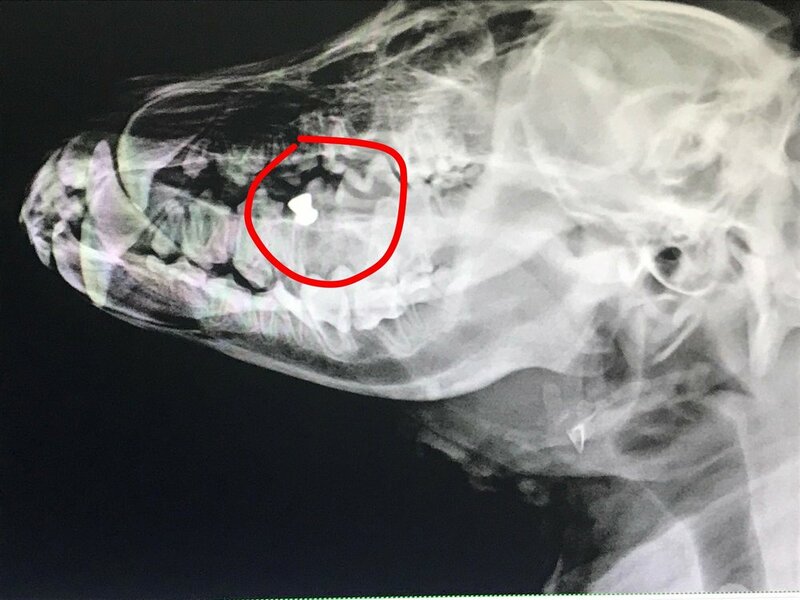 This gentle, sweet, SWEET boy had soft tissue damage (he was probably beaten and thrown out of or hit by a car), and had, as Patty told me—brace yourself—a bullet embedded in his face! I am OUTRAGED as well as heartbroken. This is the sweetest, kindest soul of a dog. And he's only a pup. It took a team of people to save this dog (who is named Johan, pronounced Yohan, for "traveler"). Erik and I initially found the dog and worked on his resuscitation, while Brian Sanderson and Alisa Novell handled the transport and arrangements from the desert to St. George. His rehabilitation and critical care have been with Patty Pappas and the team at RSQ Dogs in St. George, Utah. We will need a lot of help with this kind, loving, gentle soul's recovery. 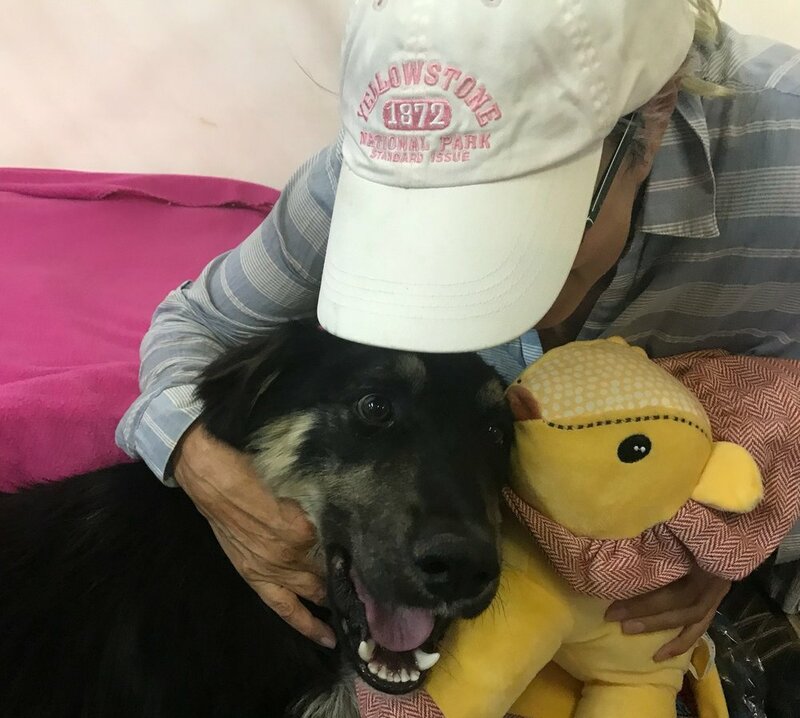 If you'd like to help with his medical bills and case, please make a donation to RSQ Dogs, or you can contribute directly to his medical costs at Red Hills Veterinary Hospital by calling 435-656-8886 and requesting to donate to RSQ DOGS account. Send checks to RSQ Dogs, 1838 W 1020 N suite B, St. George, UT 84770. I hope you can find it in your heart to support this amazing facility at RSQ which is doing remarkable work. They are literally saving and rehabilitating this sweet dog when no one else would take him.